With such a vast amount of resources at our disposal in the Internet Age, it is easy to be not just a consumer but an informed consumer. We love discovering brands that not only create amazing products, but that care about their impact on the environment and their community. That’s why we absolutely adore Keap Candles—and have them all over our office, too! Tell us a little bit about Keap and how the company came about. In 2015 I was walking in Manhattan and saw a long and excited line of people on the other side of the block. Intrigued, I nonchalantly crossed the street to figure out what was going on: it transpired that it was a candle sample sale. I was taken aback that it was candles creating such fervor. Back at work I brought this up with my colleague and friend, Harry. We lived together on Keap Street when we first moved to New York, so we knew that we both had a lifelong passion for candles; we simply started talking about what it was that made them such a special object. This unexpectedly turned into many hours of discussing what we loved about candles—how they transform a space, the joy of discovering new scents—and also our frustrations. 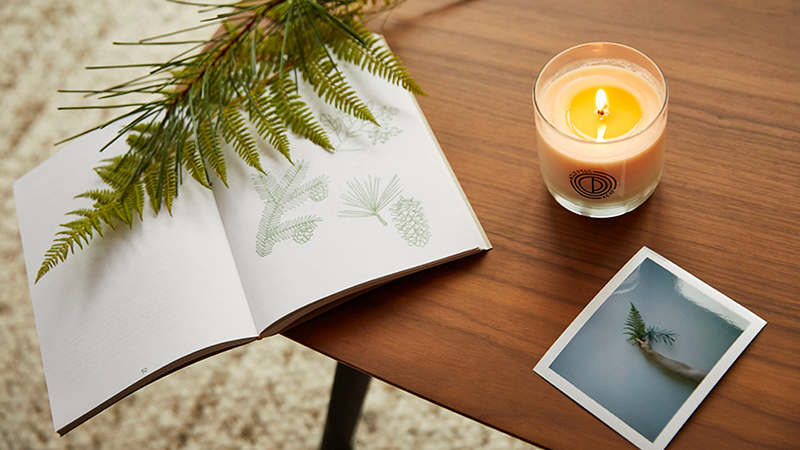 Why was impossible to find a high-quality candle that was also sustainable? So that unplanned, sample-sale-snooping moment turned into the spark for starting Keap! How did you develop a brand that sets itself apart from competitors? In that first conversation mine and Harry’s existing frustrations with candles became clear: there was no genuine focus on sustainability, and a broken online customer experience. So what makes us different is what we have stood for as a brand since day one. 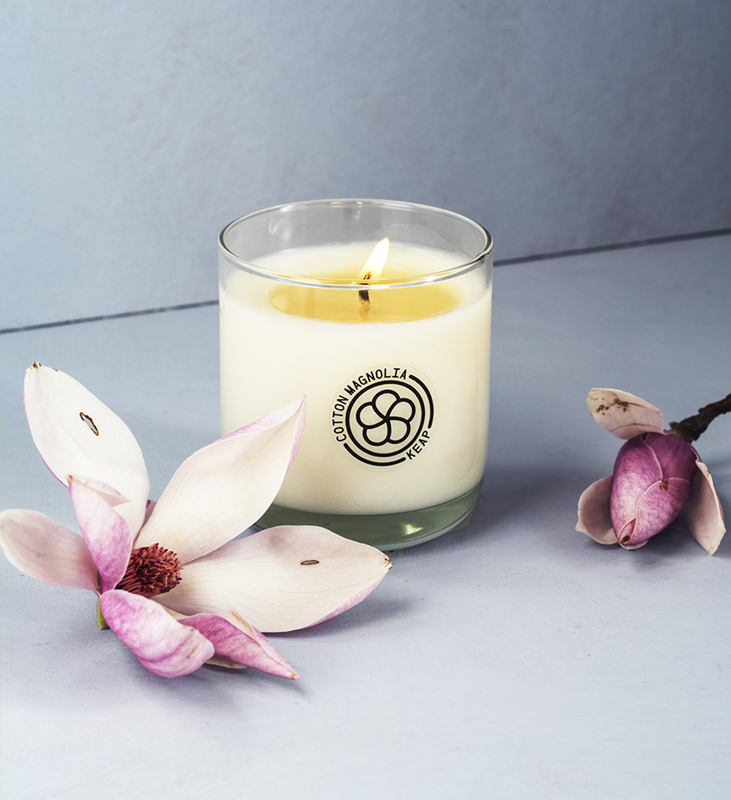 We are not just focused on making the best possible candles, but also building a business that does right by our customers and the planet at every level possible. The last four years have been a journey putting in place what this means. Everything from working with one of the world’s leading master perfumers, to finding the most sustainable wax (made from coconut), to launching an online subscription and home-trial set, and finding alternatives to plastic packaging materials. Why was it important that Keap use sustainable and reusable products? Doing things in a way that benefits the planet was a simple requisite for us; it is at the heart of how we make every decision. If we know that what we are doing is harming people or the planet, now or in the future, then why do it? As we continue to grow what excites us more than anything is getting to be an advocate for solutions that allow businesses to create benefit instead of harm as they do business. From supporting farming practices that leave the soil in a better state of health, to using compostable or reusable materials that have no end of life. What advice do you have for aspiring entrepreneurs on how to create a business that is both successful and sustainable? Know your values and what you represent beyond your product, and use these values as the litmus test for making every single decision. While this may seem challenging in the early days, if you build your brand around a clear set of values—and you stick to them—your customers will notice and remember you for that. Building a long-term relationship with each customer should be the goal of any sustainable business. With so much uncertainty in the world at the moment, it's the perfect time to create a business that stands for something. Check out Keap’s candles here!